I love the fact that although I have lived in Melbourne all my life, there are still things I am discovering that I had no idea existed…and this is one of them. 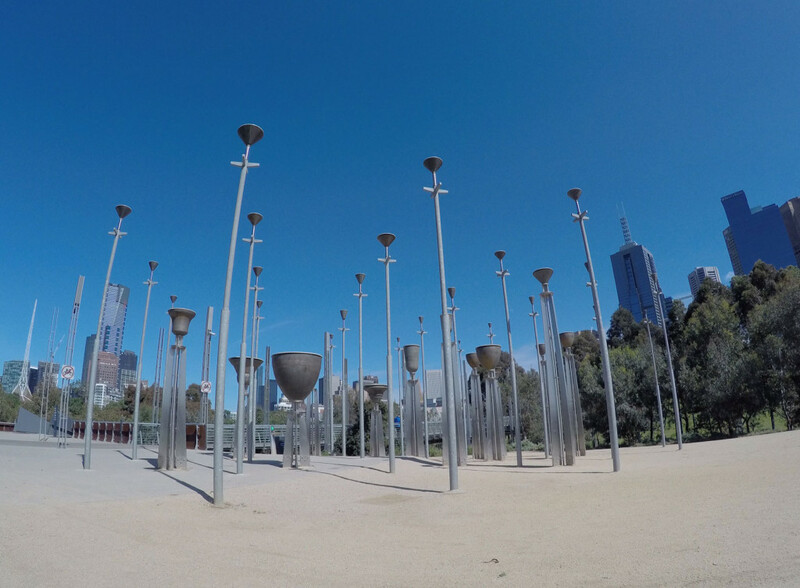 The Federation Bells consist of 39 bronze bells created to celebrate the centenary of Australia’s federation in 2001. 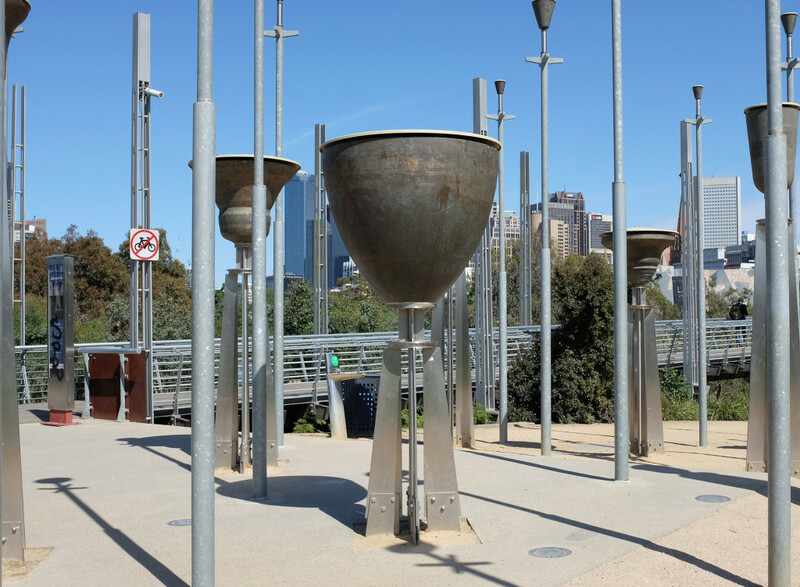 Both the bells, and Birrarung Marr where they are located, were opened way back on 26 January 2002. The Federation Bells have stood proud since they were installed, although the bells themselves have undergone various structural and expansion upgrades. They are controlled by a computer, which is located in a control room not far from the bells….and no, I have no idea where it is! For those of you familiar with computer language, the bells use MIDI (Musical Instrument Digital Interface) and there are custom designed controllers (designed by Spring Innovations and Considered Solutions), translating the MIDI signals into the physical movement of striking the bells. And because of this amazing technology, much of the maintenance of the bells is done off site! As mentioned before, there are 39 bronze bells…the heaviest weighs 1.2 tones and the lightest weighs about 500 grams. The larger bells are placed randomly amongst the smaller bells…Bell number 1 being the largest and lowest pitch bell through to bell number 39 which is the smallest and highest pitched bell. 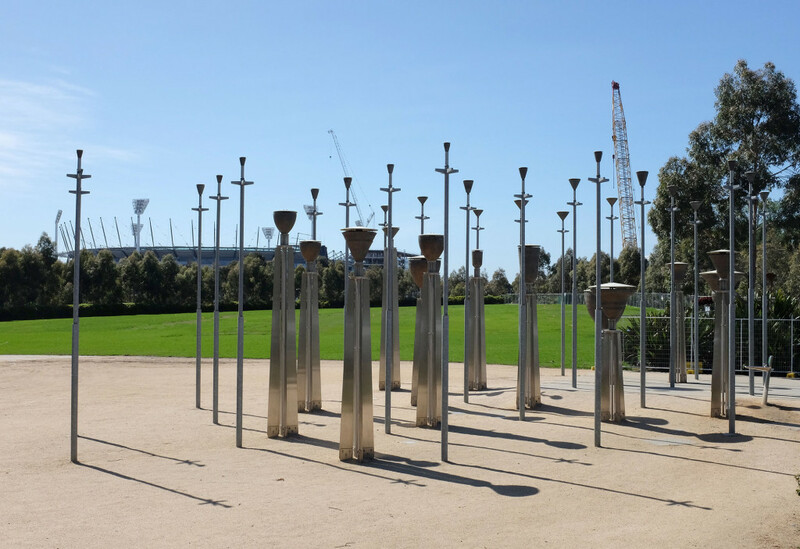 As you can see, the bells are actually positioned upside down, on top of poles which vary in height. The bells ring daily at set times, with various pieces that have been composed especially for this installation. Plus, during footy session, the bells play the two competing teams theme songs in the hour before the game…how have I not ever heard them in the past? However, the most intriguing part of the Federation Bells, is that there is actually a website which allows you to compose for the bells either via an online composer, or you can download a toolkit. And for even more fun, there is an app you can get which allows you to connect directly to bells at certain times…and play them! To use onsite, you just connect to the Bells WiFi network and away you go! 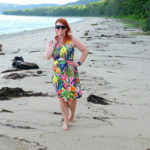 We haven’t tried this as we were unaware of this feature, but next time we are in the area when there is an interactive session on, I am so going to give this a try! The Federation Bells are located in Birrarung Marr, Melbourne and can be heard ringing daily 8-9am, 12.30 – 1.30pm and 5pm – 6pm. For more information and to check when interactive sessions are available, click here to visit the Federation Bells website! 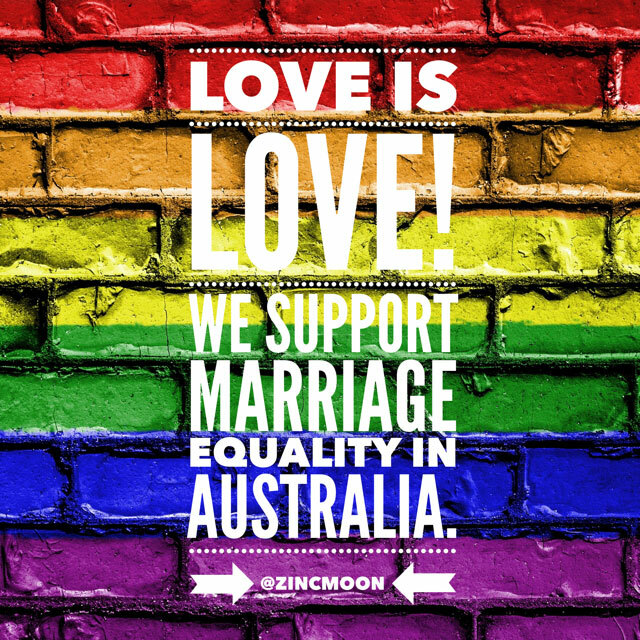 Fellow Melbournites…did you know about the Federation Bells? And have you tried playing them? How lovely. 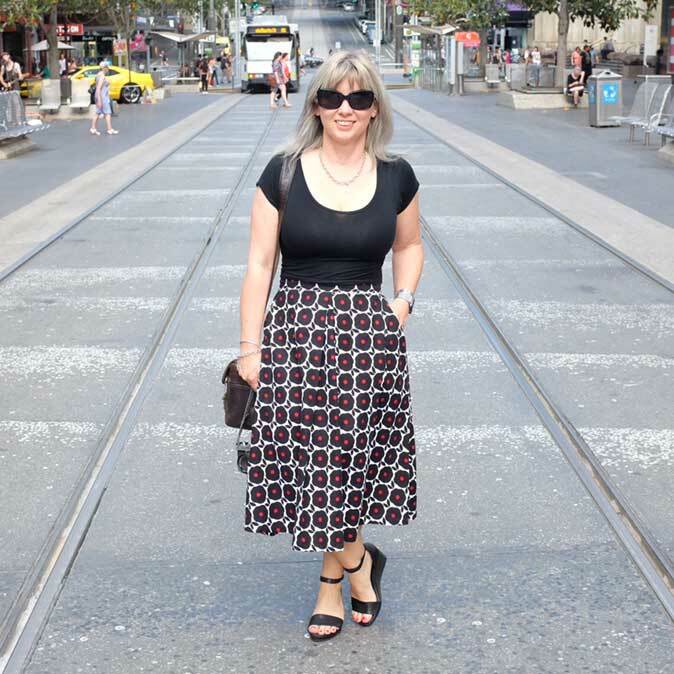 When I make it down to Melbourne again I will need to check them out.